A sleek, sophisticated tuxedo sofa, with a low back and shelter arms. Two sofa sizes. Diamond tufted on back and arms; smooth back and arm styles coming soon. Contoured body with a deep seat, track arms, and a sleek, sophisticated wood base. Four sofa sizes, sectional, chair, ottoman. A shelter sofa with transitional glam, made even more sophisticated with optional nailhead trim added. Two sofa sizes, sleeper, chair, ottoman. Tailored elegance, personified in its camelback design, shapely arms, and carved wood base. Sleek, modern styling with transitional flair. Armless settee, chair. Tapered legs or waterfall skirt. A tried-and-true classic that's both comfortable and casual. Three sofa sizes, sleeper, sectional, chair, ottoman. Roll arm or track arm. Glamorous and graceful, with a demilune profile, flared arms, and sabre legs. Updated Chesterfield sofa with a twist; it has a high, scalloped, diamond-tufted back and wide, rolled arms. A fresh, versatile interpretation of the classic roll-arm British sofa. Two sofa sizes, incliner, sleeper, recliner, chair, ottoman. Clean, chic, modern lines mix with a deep, comfortable seat and wide track arms. Sofa, sectional, chair, ottoman. Relaxed European styling with gracefully curved English arms. Three sofa sizes, chair, ottoman. Casual yet elegant, with graceful sloped arms and comfy T-cushions. Three sofa sizes, chair, ottoman. Classic British styling—with elegant rolled arms and turned spool legs—meets deep-seated comfort. Two sofa sizes, chair, ottoman. French parlor style, reimagined with softer, more modern lines and rolled arms. Camelback, with turned spooled legs that have metal ferrules. A sleek silhouette with a low, deep seat for the perfect mix of sophistication and comfort. Classic Chesterfield profile, with angled rolled arms for added elegance. Three sofa sizes, two sofa depths, chair, ottoman. Midcentury-inspired lines for sleek styling with a midsize seating profile for comfort. Optional nailhead trim, contrast welting, and accent buttons. Three sofa sizes, sectional, chair, ottoman. Easy-to-style versatility, with oversize roll arms. Available skirted, slipcovered, or with tapered feet. Two sofa sizes, two sofa depths, sleeper, chaise, chair, ottoman. A pit-style collection with tapered track arms for a modern silhouette, plus loose back and seat cushions made for hours of lounging. Three sofa sizes, sectional, ottoman. Clean, modern lines with grid-style tailored back and seat cushions. Choice of metal or wood base. A classic form made modern with slim track arms and made comfortable with plush, cozy cushions. Available skirted or with tapered legs. Four sofa sizes, sleeper, chair, ottoman. Low and loungy, with a wide track arm and tailored base; perfect for cozy, casual spaces. Optional nailhead trim. Three sofa sizes, sectional, chair, ottoman. A handsome T-cushion sofa with pleated English arms, sabre-style rear legs, and turned front feet with casters. Three sofa sizes, two depths, chaise, chair, ottoman. 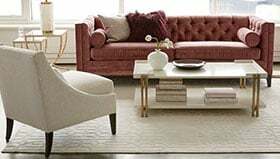 A quintessential scroll-back sofa with a beautifully buttoned waterfall skirt and deep diamond tufting; its tailored look is perfect for floating away from the wall. A neoclassical knockout with an elegant camelback profile and a kickpleat skirt; nailhead trim adds even more sophistication. Two sofa sizes. A versatile virtuoso that's just destined for customization. 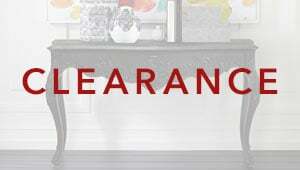 Three sofa sizes, sectionals, chairs, ottomans. The ultimate casual sofa with deep, comfortable seats; for naps, chitchats, and family movie nights galore. A high-backed, diamond-tufted, deep-seated, shelter-arm beauty with "relaxed glamour" written all over it.